You won't find a fully equipped commercial vacuum at this price anywhere but Powr-Flite! The 12" PF50 weighs only 12 pounds but is built commercial tough with a heavy-duty housing and all steel 2-piece handle. It combines the cleaning power of a 120 CFM 5.0 amp motor with the filtering efficiency of Enviro-Clean paper bags for performance and clean air at a price every facility can afford. 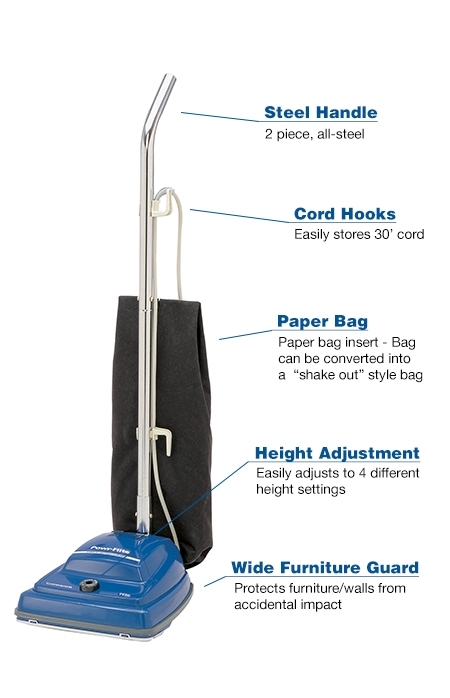 The PF50 can be converted to a cloth shake out bag vacuum. The affordable PF50 offers professional cleaning performance and durability, providing years of worry-free operation. 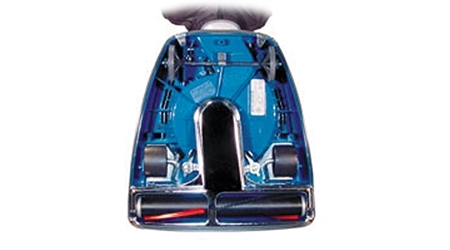 If something is clogging up your vacuum, see it before taking the time to disassemble the housing.